What a difference a week makes. Although the weather seemed the same, the extra bit of heat in the spring sun seemed to get everything going. Loading the boat i could see that there were a few duck fly stuck in the cobwebs. But along with Ducklfly there were more than a few smaller buzzers alongside them. 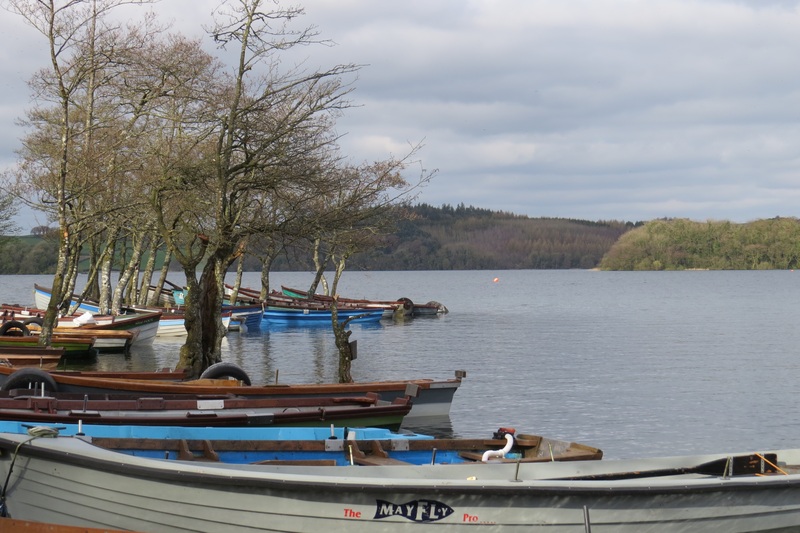 Looking in the trees and into other boats there was a remarkable increase in fly activity compared to the week before. But most of the insects that i could see were of the small buzzer type. But that was all i needed to see. I only set up one rod washing line style, a nice size 12 buoyant booby on the tail and three droppers with a size 16 black buzzer on the top dropper, a size 14 hares ear next and a red hollo diawl back size 14 again third down. This set up is fished on a full floating line with a flurocarbon cast tapered from 6 lb ft down to 4lb. 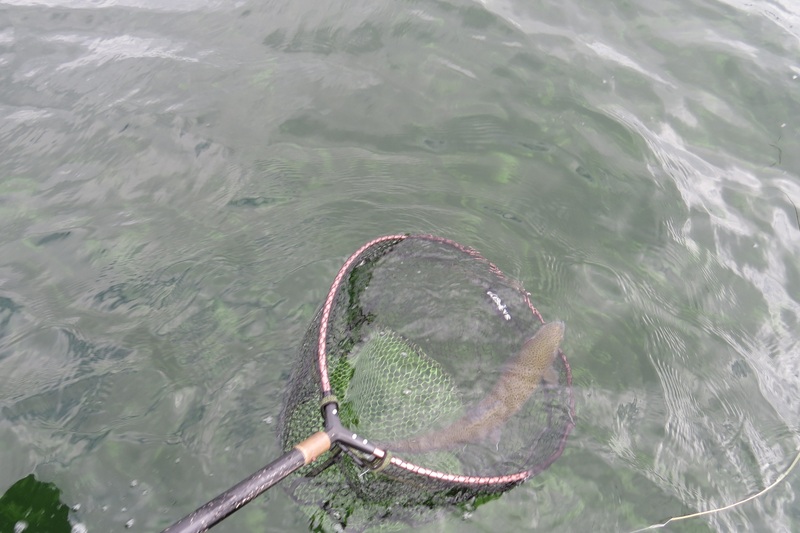 My first 6 feet of flurocarbon is 6lb, then i attach 12 ft of 4lb fluro with flies placed equally at 3ft apart.. 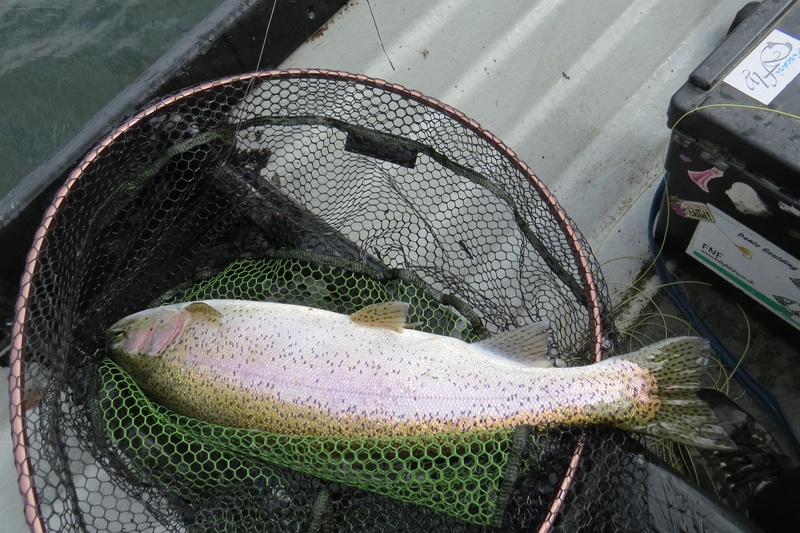 The heavier 6lb helps to turn over your cast. 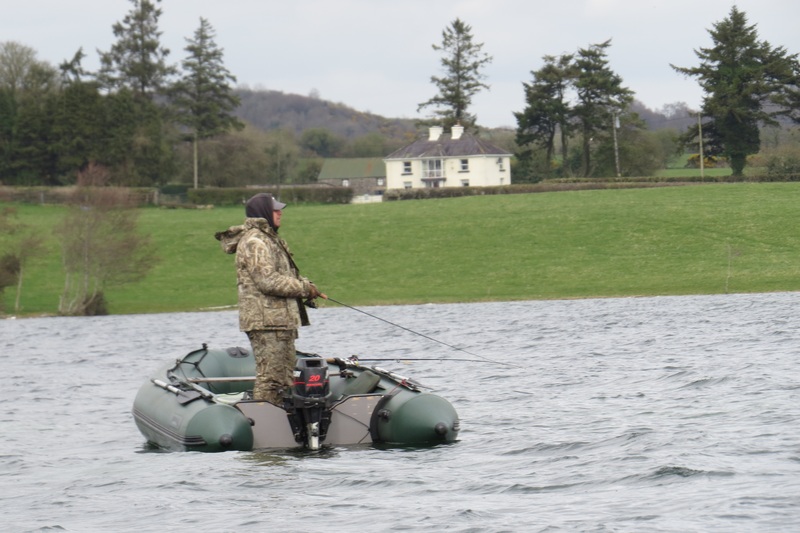 If there were small buzzers about, the trout in Lough Lene will be up high in the water column and feeding on them, so fishing a floater and lighly dressed flys would help keep my menu in the right zone for the trout. As i pulled away from the shore , the wind did not seem as cold, but its still March and as soon as i got out onto the lake, i had to put my rain jacket on, mainly for use as a wind breaker. 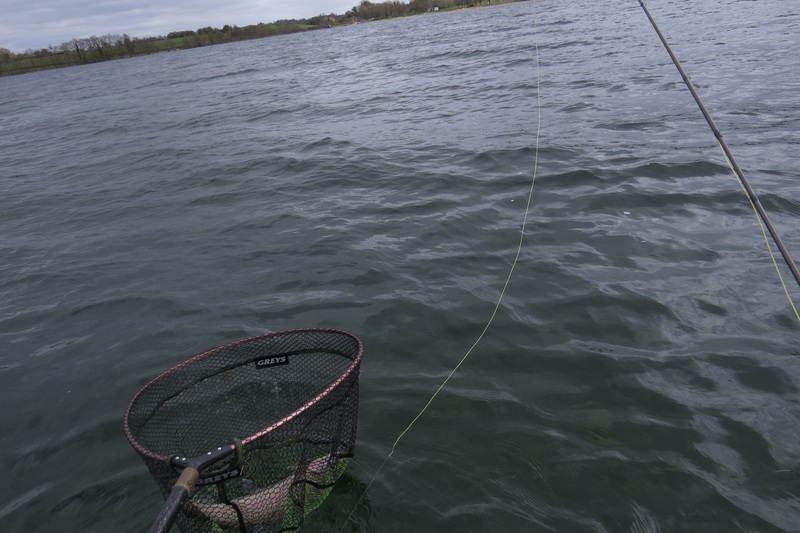 It was still cold and it just did not look as good for top of the water fishing as it did on the shore line. 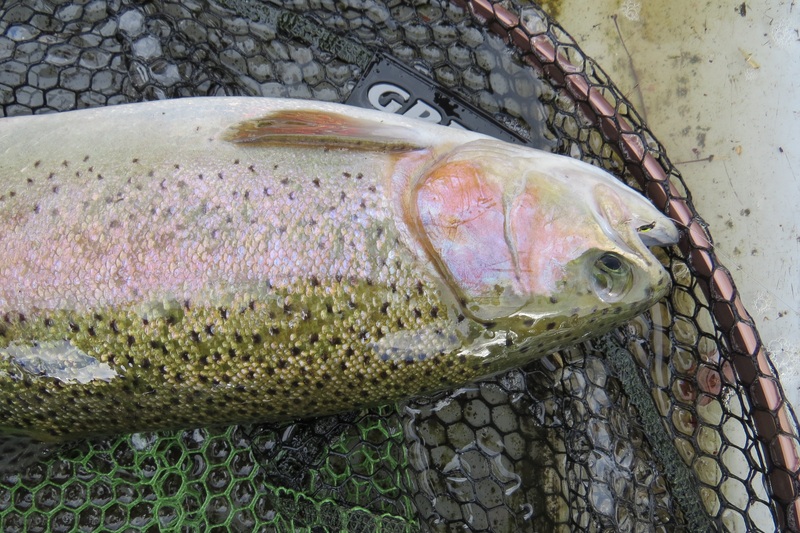 Usually i spend an hour or two looking for fly at this time of year at the start of the day, as you will get concentrations of fish in these areas and i feel its pointless fishing water that has no fly activity, unless you want to pull lures. To be honest i have pulled lures a lot in the past but i get much more fun catching fish on drys or nymphs these days. It is more of a challenge . 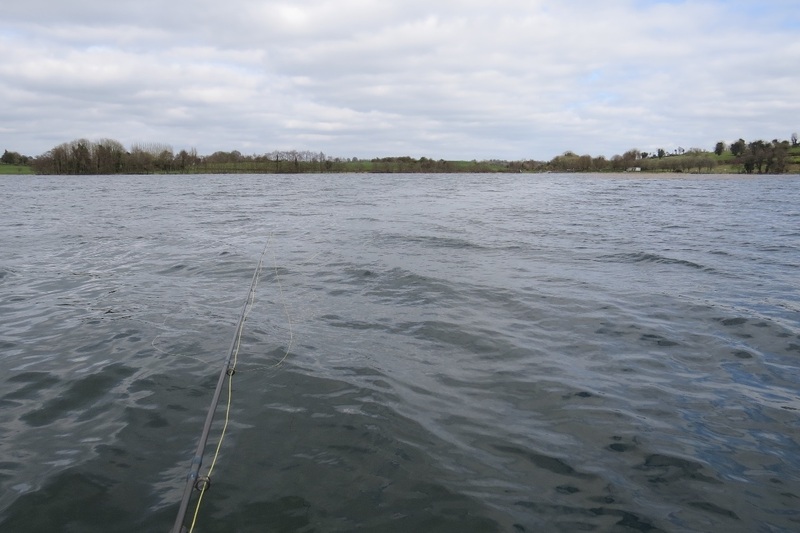 Today i looked for sheltered areas of the lake where the biting wind would not be as bad, over the years you get to know the areas where the flys hatch and if i found a calm water there, the fly would be there aswell as the fish. The wind was gusty and i tried a few points with only two takes to the hares ear. The fish i caught were hooked tight to the shore and after i stomach pumped them prior to release,the contents prooved they were on louse and corixa. Moving again i found a slightly calmer area, a few casts after setting up the drogue i got a tentative take that resulted in nothing. 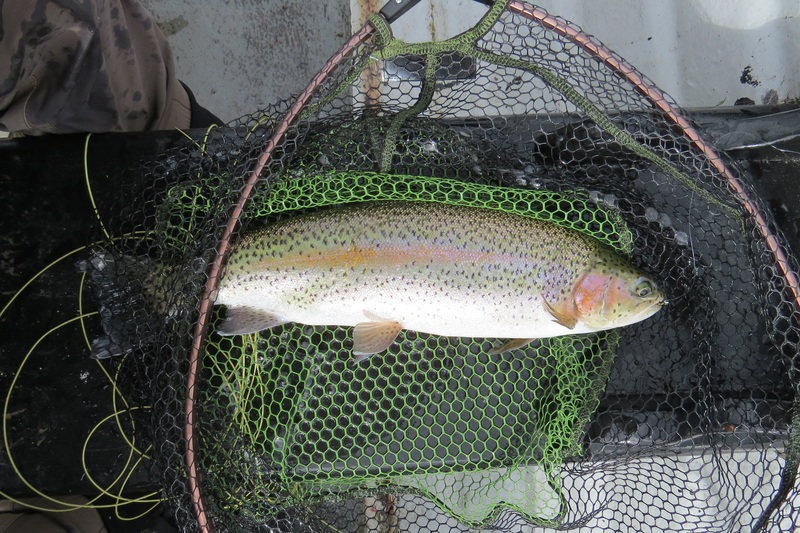 The following cast the line tightened and i let the fish take line under slight pressure. If i hold on to these takes i would be smashed instatly using such fine fluro, if ui used havied fluro i would not get the same presentation and therefore not get as many takes. This time the fish took a diawl bach, again the fish was released, but this time the trout had 3 tiny buzzer pupae, a few adult buzzers and snails were also present. 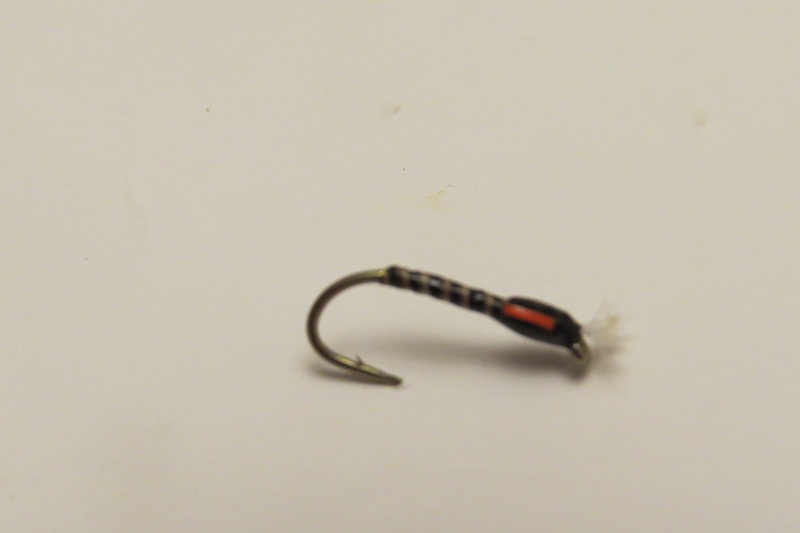 I changed the tail fly to a bigger booby to keep the flys high and this worked a treat, i landed half a dozen fish in the next 30 minutes, the fish falling to all 3 droppers on the cast. 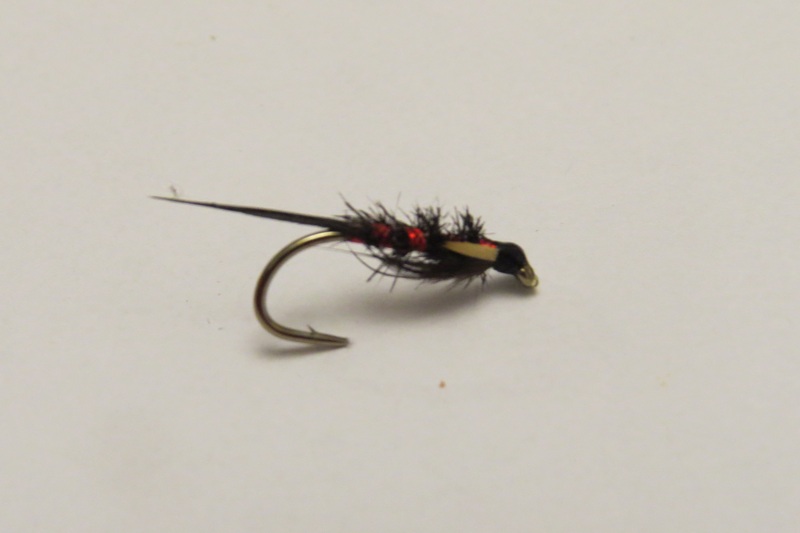 About 1pm more tiny black flys hatched and they could be seen in the wind lanes, i put the bung on. The bung is a method loved by some and hated by more. Noddy fishing ??? ?, but hey every technique that catches a lot more fish than other technique gets stick. I will go into the ins and outs of this technique in a future Blog. 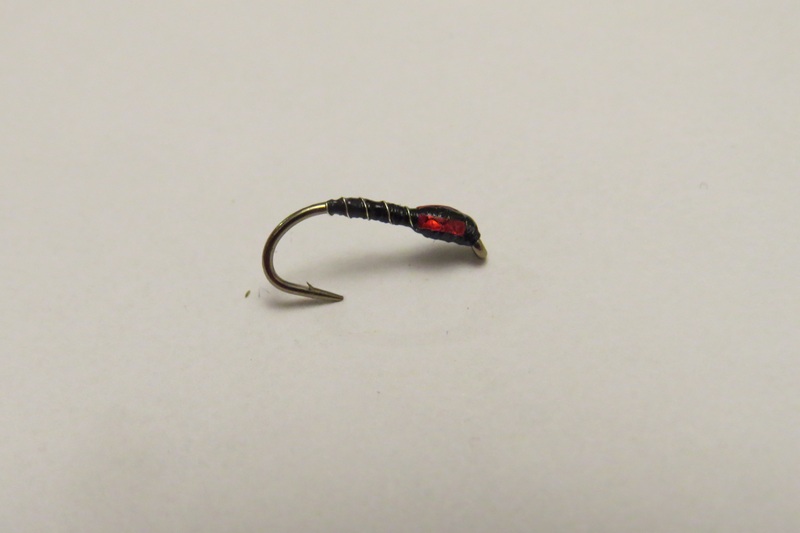 A twelve to fourteen foot cast( depending on depth of water) with a bung tied 3 foot from your floating line is your starting pont, three flies are tied onto droppers at equal intervals along the cast. 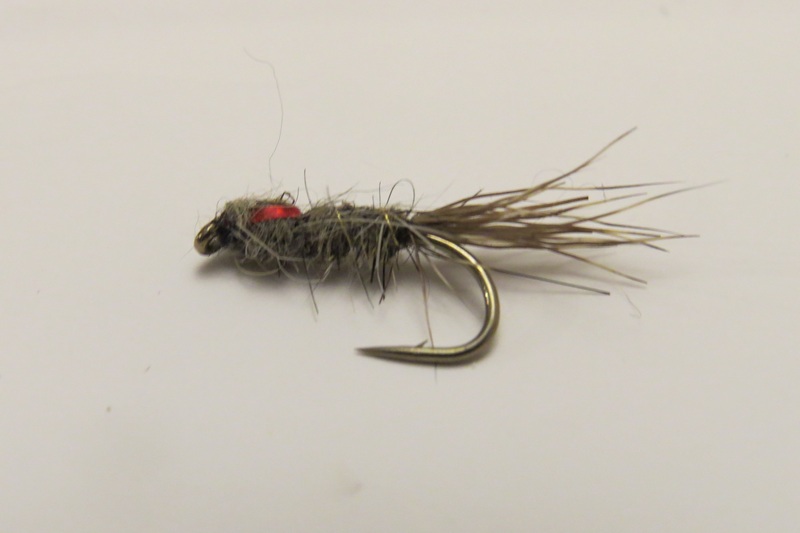 I went for a size 14 hares ear on the tail and two size 16 buzzers above it. 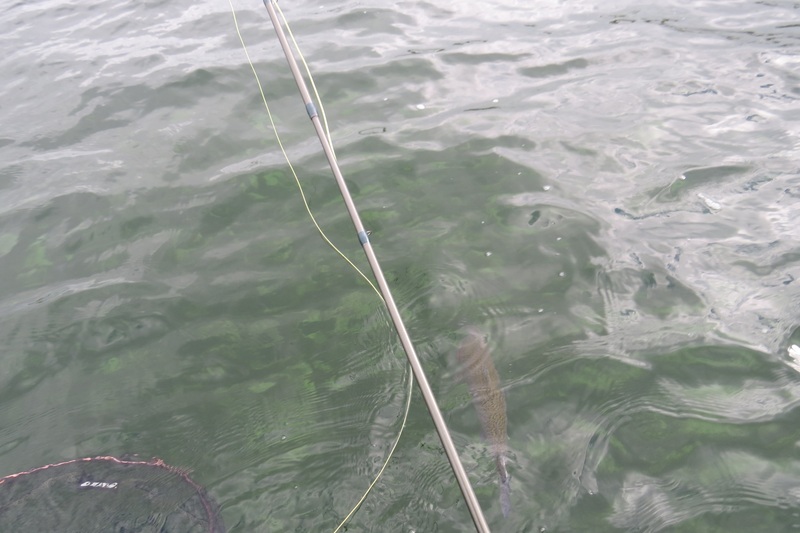 Casting no more than 10 yard in front of the boat. I let the flies sink naturally and hold at their depth , only taking in the slack as i drifted towards the bung. Early season i leave the bung out there as long as i can, ensuring the flies reach their maximum depth. 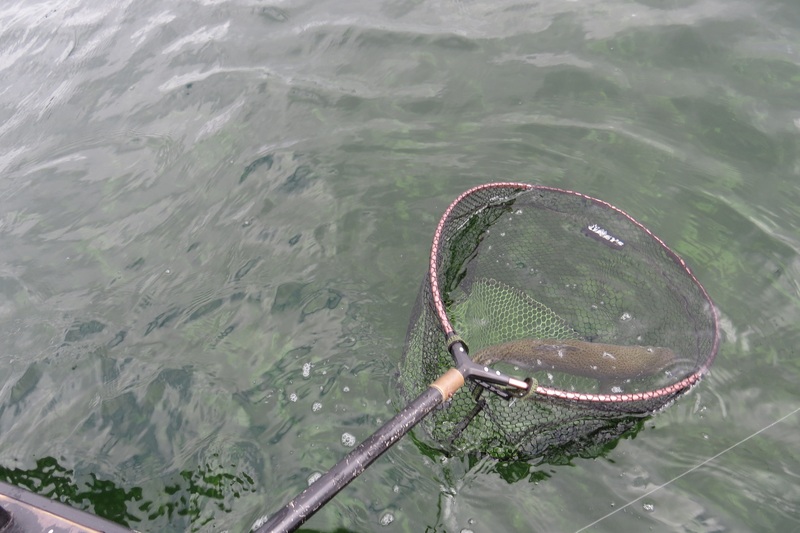 On my third cast the bung buried , which resulted in a 5lb + overwintered fish that took the point fly. This fish was feeding hard on louse and corixa. Over the next 2 hours i changed from the bung to the washing line, catching more fish on the washing line method than the bung. I even played around with dries for a while which resulted in another overwintered fish in the 5lb+ bracket, but no other takes. Unfortunately the area got busy and i decided to call it a day soon after. 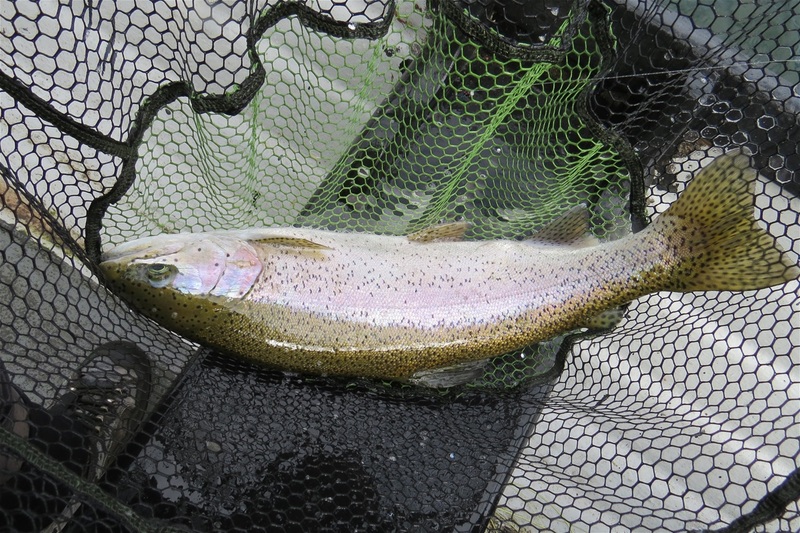 I had a great day landing some nice stocked fish along with some really nice overwintered trout , one fish in particular pushing 6.5-7lb. (mental note to self, bring the scales next time). 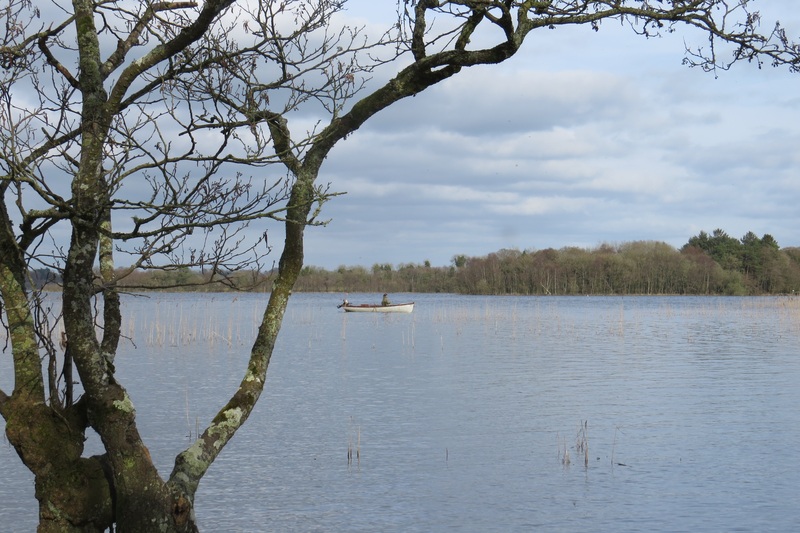 Hopefully i will get out next week and see if i get some excellent dry fly fishing which Lough Lene is famous for.